As systems become more complex, how do you find the right balance of disparate technologies? The goal is to develop the most cost-effective solution. How do you compare approaches before the system is built? The proof is in mission effectiveness, how well the system will perform the job it is designed to do. Mission Analysis is a technique to estimate this performance before even starting to build the system. Furthermore, Mission Analysis allows you to evaluate the full range of alternative approaches, and to select the one that gives the best mission performance for the least cost. Mission Analysis is a discipline that evaluates the full range of potential solutions to the needs of all stakeholders, and makes recommendations backed up by a quantitative, documented rationale. Mission Analysis, also called concept exploration or value engineering, is the first step of the systems engineering process. While requirements focus on “what” and design focuses on “how,” mission analysis focuses on “why.” You cannot solve a problem until you understand it. Mission Analysis is the bridge between a possibly ill-defined need or mission and the high-level requirements and concept of operation from which the system will be developed. This points out the importance of starting with a well-understood need, since it determines everything else. Consequently, a major activity of Mission Analysis is often the elicitation, balancing, and documentation of needs. Military customers generally have already done much of this work, and provide it to the development team, but even then the mission analyst will need to flesh out such things as scenarios and threats. Then the mission analyst will develop and evaluate the full range of potential conceptual solutions to the need. The mission is the “why” of the system, its reason for being or purpose. This table gives examples of various types of systems and their missions. Define the problem before you start trying to solve it. Be sure your understanding matches that of the customer. 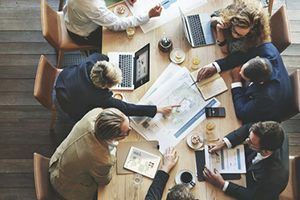 Mission analysis provides techniques to clarify needs, draw out unstated requirements, build consensus among various stakeholders, prioritize needs, and get customer buy-in at the outset. It also describes the context in which the system will operate, including such considerations as users, environment, threats, legacy systems, procedures, and societal and legal constraints. Mission analysis provides analysis and simulation techniques to compare quickly the full range of alternative approaches. The analysis focuses on achieving the purpose within the context. This provides a quantitative justification for building the system, a documented rationale for the chosen approach, and development priorities. This technology will save 4 times its cost in freeway delays the first year. There is nothing to be gained by a better radar since the missile is the limiting factor. Of the 132 alternatives compared, the following 5 are the most promising. The enhanced communications will cut battlefield casualties in half in the sample scenario. Adding communications is more cost-effective than adding detectors. Jacoby Consulting provides mission analysis services and training on an hourly or project basis. Please contact us to discuss your individual needs.